Pair of brackets that are ideal for hanging tools from ceilings and overhead beams. The brackets are threaded at one end, making them easy to screw into wooden surfaces, such as the ceiling of your shed or workshop. Hanging section is plastic vinyl coated to protect your tools from scratching. 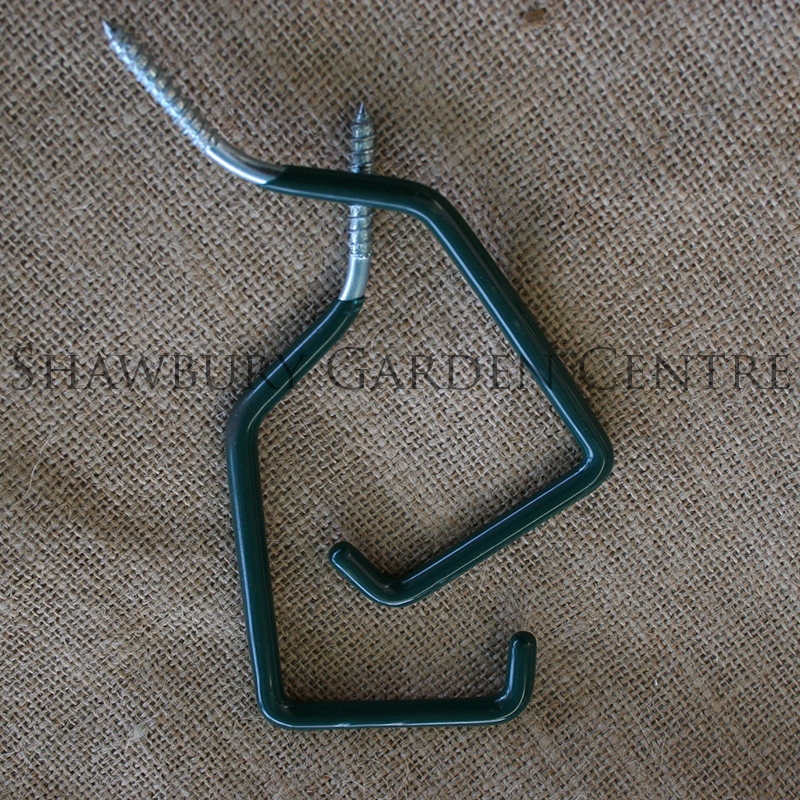 If you would like further information about Tenax Garden Tool Ceiling Hangers, please contact our garden centre at Shawbury just outside Shrewsbury in Shropshire, by calling 01939 251315 or emailing.